February 2, 2018 February 4, 2018 Red. 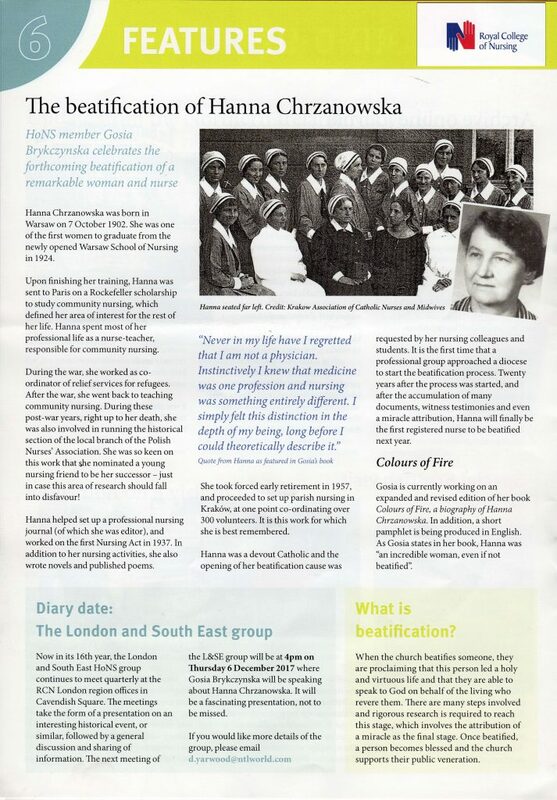 News of the upcoming beatification of Hanna Chrzanowska spreads throughout the world. The Polish nurse is raising the interest, raising her professional vocation to the heights of ethics and spirituality, while remaining modest, benevolent and friendly to both the wards and everyone with whom she met on a daily basis. 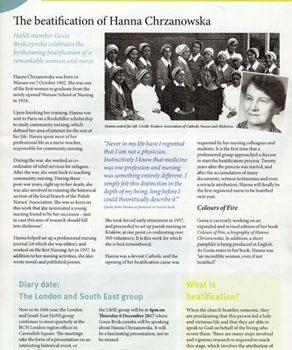 The following article appeared in the pages of RCN Magazines published by the Royal College of Nursing in London.